Blamed for her husband’s death, Cordelia Greythorne fled Cornwall and accepted a governess position to begin a new life. Years later, her employer’s unexpected death and his last request to watch over his five children force her to reevaluate. She can’t abandon the children now that they’ve lost both parents, but their new guardian lives at the timeworn Penwythe Hall . . . back on the Cornish coast she tries desperately to forget. Jac Trethewey is determined to revive Penwythe Hall’s once-flourishing apple orchards, and he’ll stop at nothing to see his struggling estate profitable again. 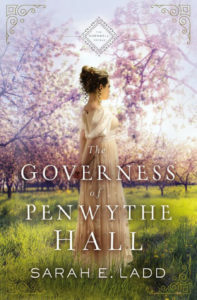 He hasn’t heard from his brother in years, so when his nieces, nephews, and their governess arrive unannounced at Penwythe Hall, he battles both grief of his brother’s death and bewilderment over this sudden responsibility. Jac’s priorities shift as the children take up residence in the ancient halls, but their secretive governess—and the mystery shrouding her past—proves to be a disruption to his carefully laid plans. Historical details woven among delicate romance allow this regency historical novel to shine! I immediately felt connected to Cordelia and as more of her loss and struggles were exposed, I could not help but feel the emotions that she was feeling. There is a bit of mystery as not all the details of her past are revealed right away. The spiritual themes seemed to be effortlessly woven in so that it does not feel preachy. My only critique is that I felt like sometimes that story slowed to a crawl, although at other times it did move a little more quickly. The descriptions of the English seaside made it easy to picture the coast and feel the salted sea spray! I really enjoyed this historical fiction novel and recommend it! This book definitely took a few chapters to pull me in, but once I started getting invested in the characters, I found myself wanting to read more and more. I definitely grew to appreciate the complexity of the characters. The plot has twists and turns that are not altogether predictable. The history about trick riding and wild west shows was interesting and made me really want to go to a show! 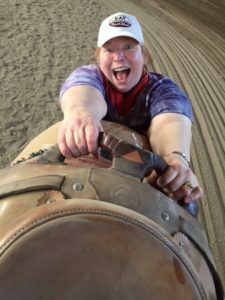 Readers will find themselves connecting with the main characters over loss and hardship and rejoicing when there are moments of joy. I think this authors creates such delicious villains that you learn to love to hate! The story is interesting and definitely worth a read. Overall, I did really like this book and do recommend it to readers of historical fiction. Follow along the blog stops to read more reviews and be entered to win a fun prize! Thea Michener accepts a position as a midwife in Cimarron Creek after being left destitute by a dead husband and stillborn baby. She is not expecting an abandoned baby dropped off at her doorstep, and certainly not by a handsome Texas Ranger, but she is not sure she has the strength in her broken heart to make room for them. 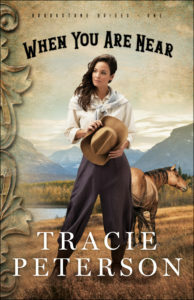 Ranger Jackson Guthrie finds Thea intriguing, but his motives for finding her in Cimarron Creek are bigger than a pretty face—and as he seeks the truth to his brother’s murder, he hopes that she can help him find the answers that he needs. Once again, readers return to Cimarron Creek for a sweet story, as romance blossoms among a historic small town. There are many characters and storylines with this novel and it is a little distracting from the main storyline at times. However, the romance is clean and the characters are enjoyable to read. There is a bit of mystery and intrigue woven among the pages that keep the plot interesting. It is a good book for those who like simple, historical romance. Dolly Chandler welcomes a unique group of families and individuals into her boarding house in Blackberry Springs, Alabama, as America enters World War II. Each family faces their own struggles but they grow and heal under the peaceful and gentle caring of Dolly. When tragedy strikes their small town, these unlikely friends bond together to Dolly and her husband. I really like that this author pens words that flow and bring the reader into the story with ease. Her writing captivates me from the beginning of the novel. The characters are raw and real. There was definitely emotional depth to this Southern story. I was a little disappointed that the religious aspect of this novel felt more “spiritual” with mentions of supernatural events rather than definitive “Christian” principles. Nonetheless, the book is well-written and worth reading. I recommend it to those looking for a sweet, historical novel. Willow West is fun, spunky, and outgoing—very different from the stoic and restrained George Emerson. But she is determined to get the newly retired English teacher to let loose and relax a little. George, meanwhile, is slightly annoyed with Willow’s attempts to socialize him and expand his horizons. But he soon finds that he is also mildly attracted to her energetic personality. George just hopes that he has not annoyed her to the point where she is not longer interested. 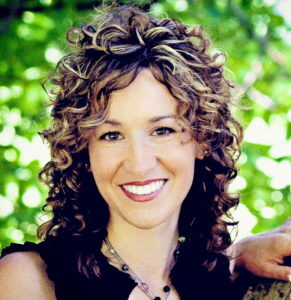 Like so many of Melody Carlson’s books, this story definitely has sweet romance. I am a younger individual so I found that I didn’t connect to the older age of the characters as much in this particular book and was bothered by the disconnect throughout the book. I like that the author was willing to tackle a later-in-life romance, however, as this is not often done. Her writing style is good and the story was an easy read. I think for the right audience, this would be a great book, but it just wasn’t for me. Laine Forrester travels to France to see her best friend get married, only to face several setbacks that soon send her on a second adventure of journeying to Ireland. There she finds herself drawn to the secrets hidden within the castle and she discovers more about the 1916 Easter Rising through the life of Issy and the 1798 rebellion through the life of Maeve. Although several centuries apart, these women all face similar struggles and triumphs as they navigate through life. 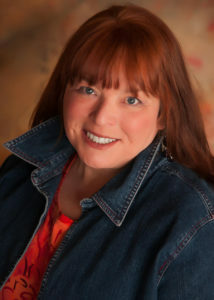 Kristy Cambron is one of the authors that made me fall in love with slip time novels because she crafts stories that connect and interweave in such creative and interesting ways. I have really enjoyed this castle series! I particularly liked this book because of the rich Irish history (a place I once lived). The author does the beautiful country justice with its descriptions and drew me in with its intriguing characters. I also liked seeing how the story played out as it flowed and moved. I enjoyed this book and look forward to the next! Violet Lindstrom, serving with the American Red Cross, is sent overseas to Britain to help with programs for the local children as well as the men of the US 357th Fighter Group in 1943. She is hoping that her experience will help her with her future goal of becoming a medical missionary to Africa like her great aunt and great uncle. She meets Lieutenant Adler Paxton, a pilot with ambitious goals of being an ace. He struggles to manage the skies over France before the D-day invasion. As he and Violet work side by side, their past secrets are brought to light and may affect their relationship forever. I enjoyed the history and storyline of this book. Sarah Sundin always does such a great job of researching the time period and the specifics of the military to give a detailed backdrop to an interesting plot. The characters are flawed and relatable but through journeys of faith and maturing, they are transformed with God’s grace and forgiveness. It is not absolutely necessary to read the first book in this series to enjoy this one, but it does give you some background information. I am looking forward to the next book!